Hope's Cafe: Get a Personalized Visa Card from CARD.com! Okay, I have to admit-this is one of the neatest ideas I have seen in a very long time! 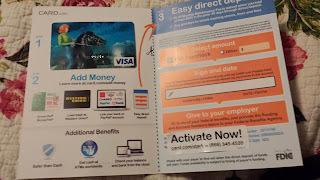 I was recently asked to review CARD.com, a company that offers prepaid Visa debit cards. 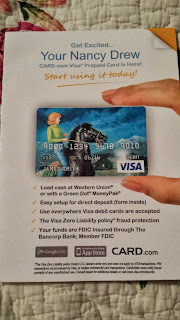 However, these are not just your typical prepaid debit cards. There are a couple very unique features that I love! Upon signing up and choosing your card, it only takes a few days to receive the card. At that point, you can add money to your card balance via Paypal, direct deposit, Western Union, or even photo deposit a check with the handy CARD.com app. The money is available a few days later, and you're good to go. 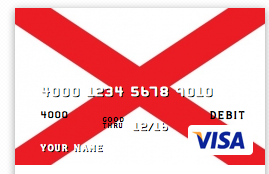 The card can be used anywhere Visa cards are accepted, and you even set up a pin number for use. You can also set up for your paycheck to be deposited right to your CARD.com account, by simply filling out the form that arrives with your card, and giving it to your employer! I had a lot of fun choosing a card design, and eventually settled on one of the many Nancy Drew designs. Growing up, the Nancy Drew series was one of my favorites, and M has the same love for these mystery stories. Of course, when she saw my new card, she wanted one of her own-maybe when she's a little older! 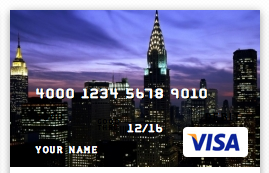 Personally, I think that CARD.com is amazing; you can actually have a Visa card that is fun to use-instead of that boring bank logo that adorns all of my cards-and you can reload, or even have your paycheck deposited onto the card! 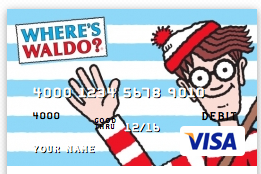 If you're looking for a more fun alternative to your typical Visa card!